When you start RVing, you might feel overwhelmed. The first trip you and your family plans will be tedious, time-consuming, and downright frustrating. If you’re looking to travel somewhere new, finding the best parking isn’t the easiest task. If you fall in love with the place you visited, such as a campground or National Park, securing a monthly RV site rental can be even harder. Depending on how often you travel, who comes with you, and what type of places you like to stay, investing in a monthly recurring RV site rental might be the most affordable option. Let’s look at what a monthly RV site rental is, how to find one, and why you should consider investing in one if you frequent the same destinations throughout the year. What is a Monthly RV Site Rental? A monthly RV site rental is a plot of land that you can park your RV or trailer on as if renting a room in a hotel. RV sites come in a variety of sizes, shapes and with different amenities depending on the RV park or campground. A monthly site rental gives you the opportunity to park in the same spot every time you visit a destination. You’re renting a plot to park on and use as you see fit. You’re guaranteed this spot every month, for a specific set of time, by pre-paying for it ahead of time. Monthly RV site rentals usually need you to commit to a contract or lease, anywhere from three to 12 months in duration or longer. This ensures that the RV park or campground gets its dues and you don’t have to worry about someone snatching up the best parking spot in the park or campground. RV site rentals vary in price depending on everything from the location in the park itself to what’s included with the rental, such as hook-ups, satellite TV, and Wi-Fi. Depending on where in the country you travel, you may find monthly RV rentals to be more expensive closer to tourist destinations and National Parks than further out of the way. Weigh the pros and cons of what the monthly site rental offers in amenities versus what your motorhome or trailer does. If you can go without some luxuries at the site because your RV provides them, you’ll save even more money long-term on-site rentals with lesser amenities. Need help renting an RV park or campground site? Read this expert guide here to get started. Monthly RV site rentals aren’t difficult to find. In fact, most campgrounds, National Parks and RV parks across the country offer them. If they’re not advertised on a website or when you visit, ask when you arrive or give them a call. You’d be surprised at how many of these places want to rent a site monthly as opposed to dealing with last minute arrivals and weekend travelers. They want people who commit to rentals, and if you’re one of those RVers, you’ll see the difference in everything you do when you travel to a destination to park. 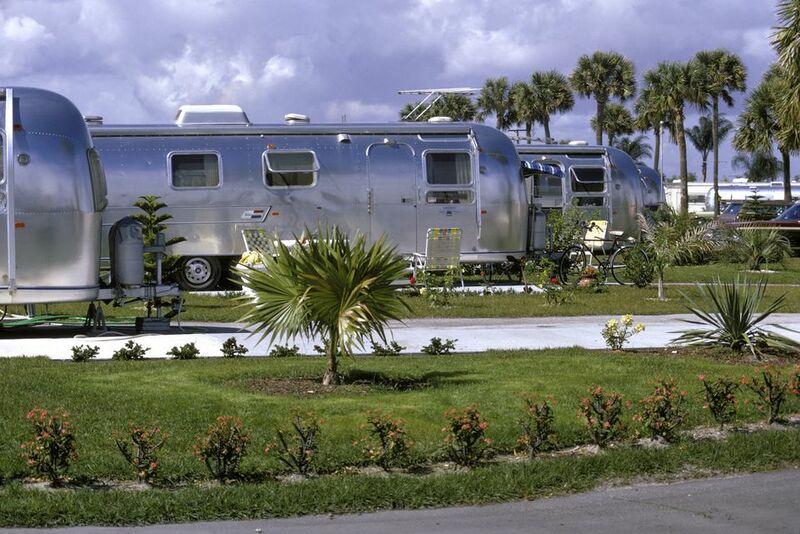 Some RV parks only rent spots long-term, such a luxury RV resorts. These parks often offer more accommodations for travelers than campgrounds and National Parks. They can also be harder to get into because most spots will be taken for years, if not decades, and the wait list can be long. If you want a specific RV park or campground, consider waitlisting yourself. You can find something to tide you over in the meantime, and when the spot you want is available, you can jump on it before someone else snatches it up. Is a Monthly RV Site Rental Worth the Price Tag? One of the biggest benefits of RVing is the costs you save long-term vacationing with your family. RV travel is one of the most popular ways to get away from it all, and as more consumers invest in RVing, more campgrounds and RV parks are going to scramble to find ways to accommodate them. Monthly RV site rentals are worth the monthly fees you incur so long as you’re traveling enough to make it worthwhile. If you travel once a month, an RV site rental isn’t for you. Pro Tip: If a monthly RV site rental isn't right for you, consider cheaper alternatives to RV parks and campgrounds. Read this expert guide here to save money on your next trip. If you’re traveling to the same destinations, look at how much your current park fees are compared to renting a site each month ahead of time. While you may have to travel a little bit further to get to and from the monthly RV site rental, it may turn out to be the wiser investment budget-wise for your family.